Yeah, my head hurts after sorting that out too. This is another one of our Adapt Found Objects projects. 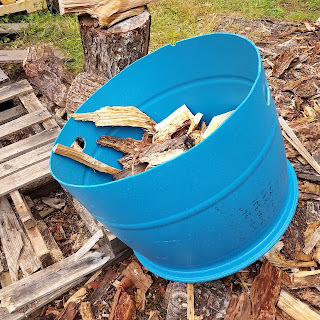 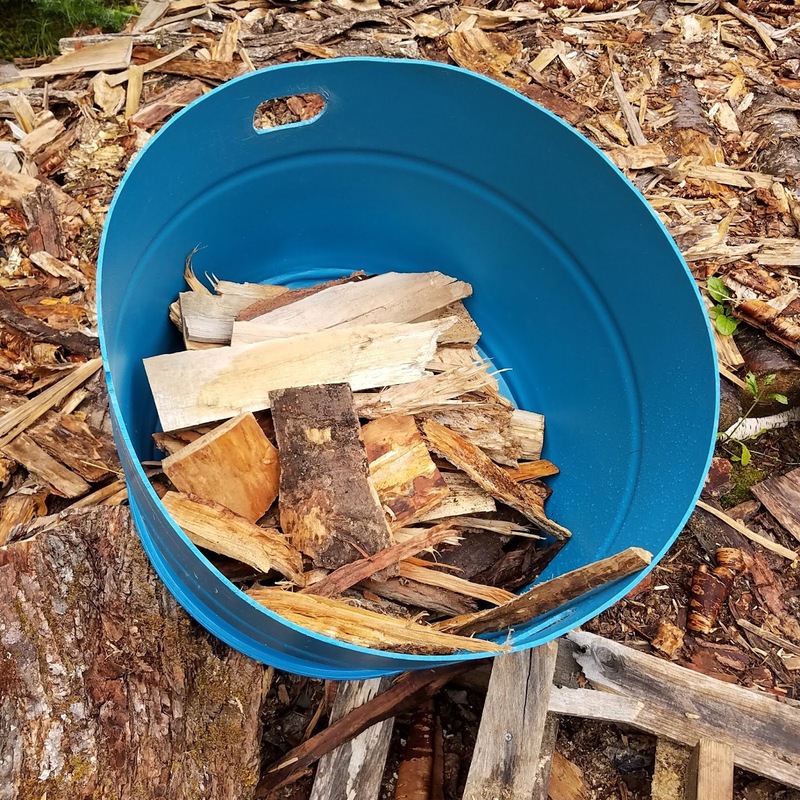 We had a request for trugs (a Northern New England term for a big, garden-use container) to put to work around the yard the woodpile. 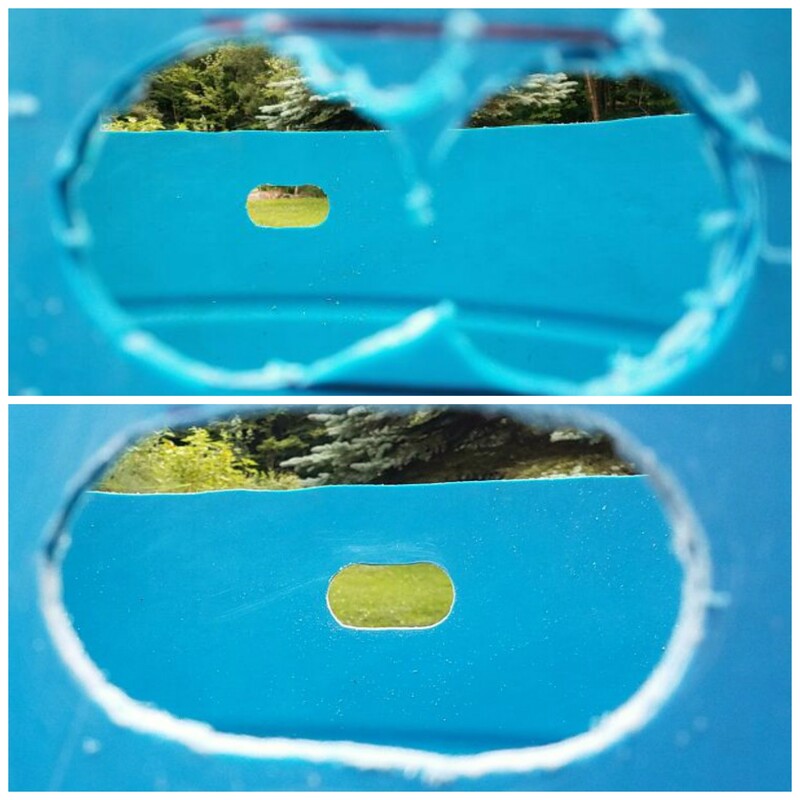 We then added carry handles by cutting two holes per handle and bridging them (see top image for shots in-process). 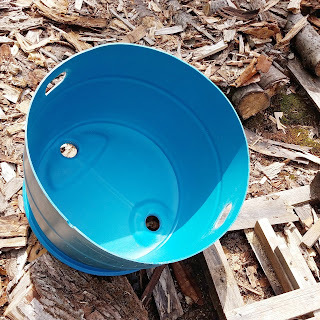 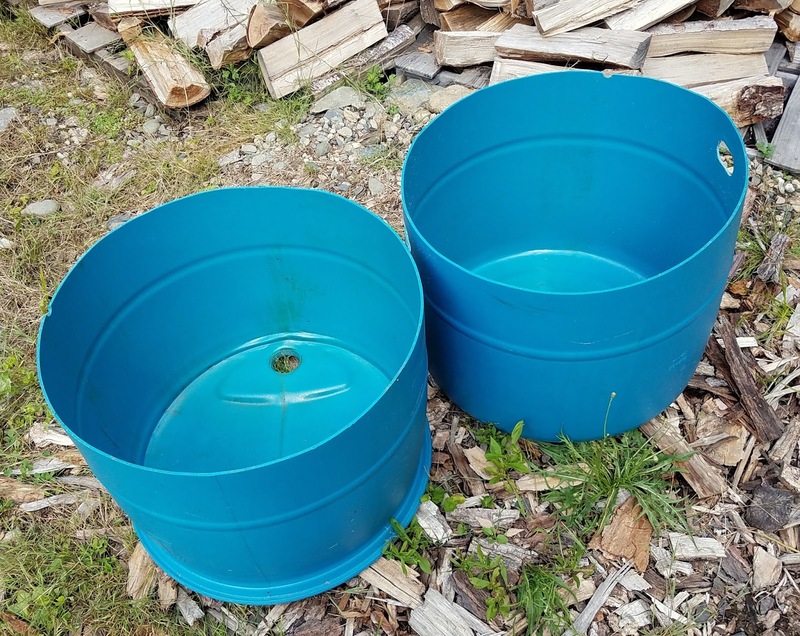 The top half of the barrel already had loading holes, so we adapted them as drain holes and put that trug to work outside, where it could catch-and-release any rain that wandered its way.